← I Help Make Games, Now! 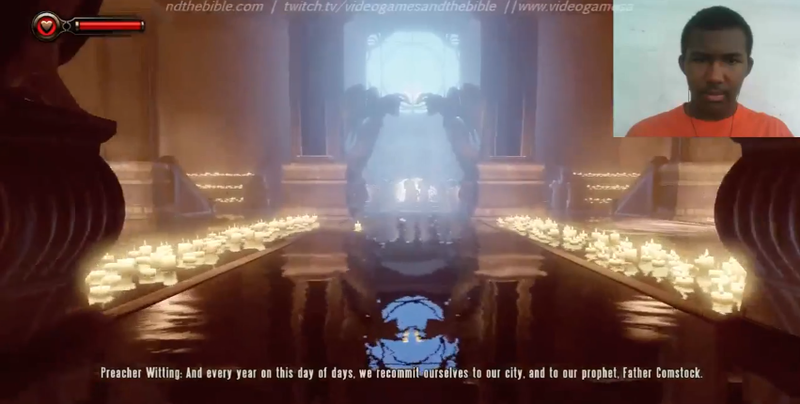 2 months ago, I began recording a playthrough of BioShock Infinite–noting what (if any) Biblical parallels I found along the way. Below, you’ll find highlights from a few of these episodes. To watch the rest, feel free to click on the embedded videos or visit the linked BioShock Infinite and the Bible playlist. 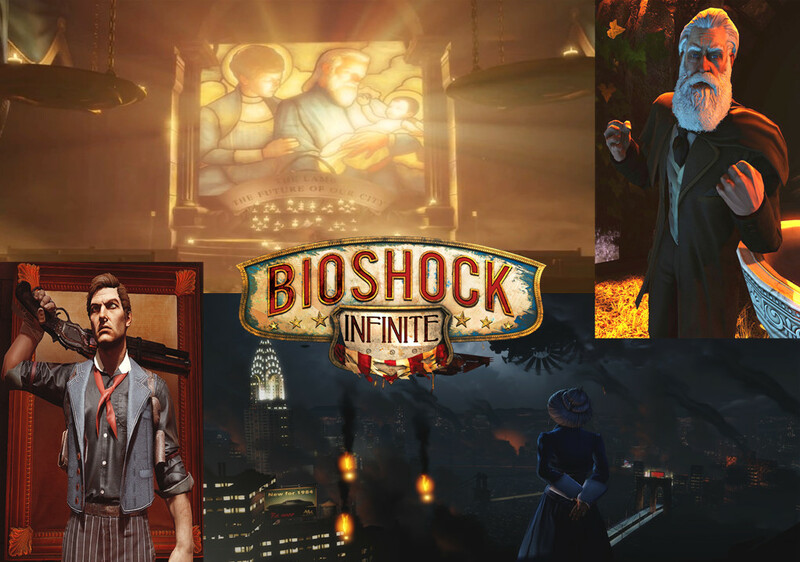 I’m pretty sick at the moment, but I’ve emerged from my wall of tissues and hacking coughs to recap the first episodes of BioShock Infinite and the Bible–look forward to more highlight articles and Biblically-focused videos in the future! 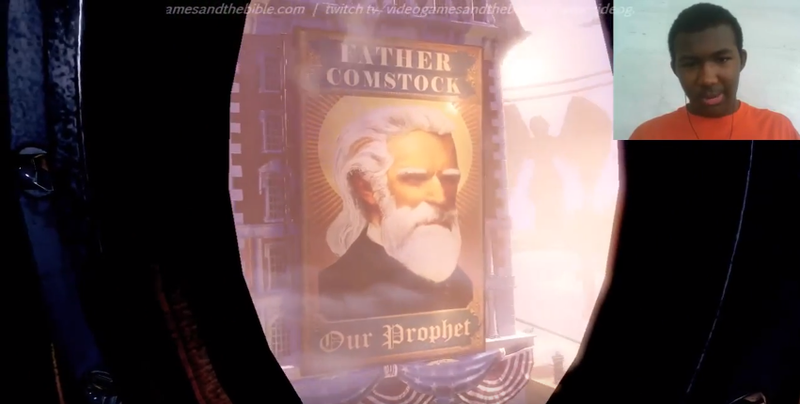 ·00:01: In many ways, BioShock Infinite may be the most “Christian” game ever made–particularly if judged by how much Scripture it uses, draws from, or references. 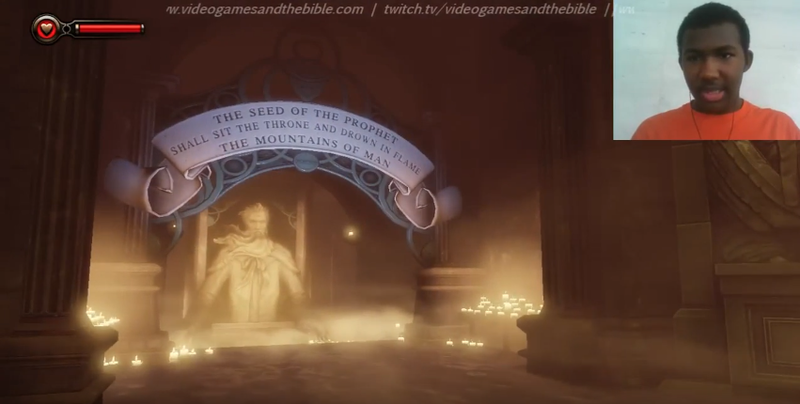 However, as you advance through the game, you begin to realize the Biblical ideas depicted and conveyed have been twisted into something unrecognizably…horrible. I can’t think of another word to describe the difference between the faith it shows and one that is Biblically-based and sound. 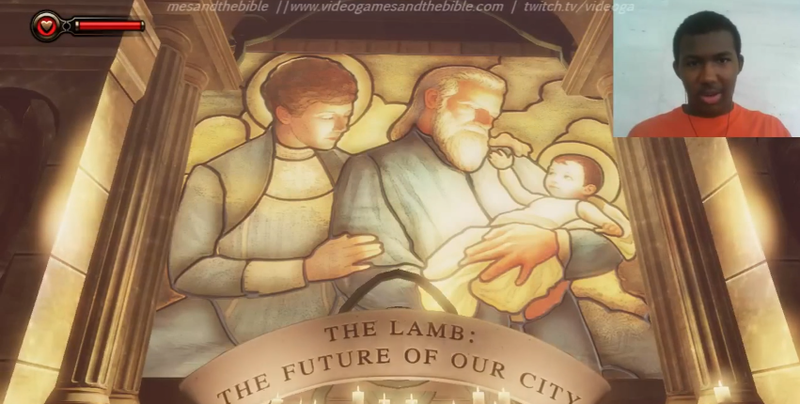 ·08:52: More art of Elizabeth, the Lamb of Columbia, mirroring that of religious works about the birth of Jesus. 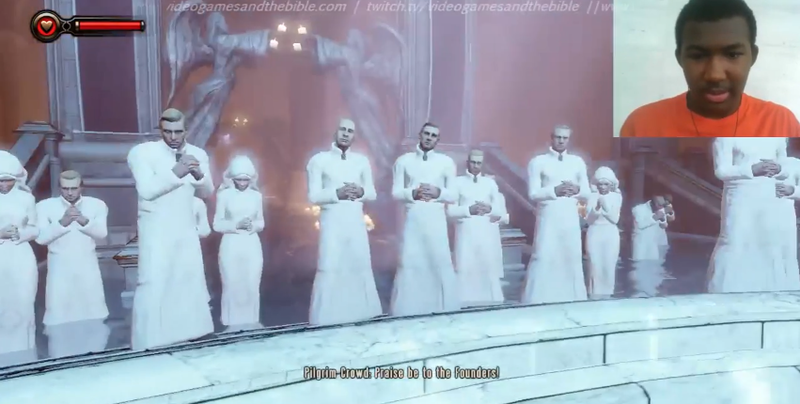 ·09:54: BioShock Infinite’s baptism sequence. ·11:49: Cries of “Praise be to the Founders!” around the baptismal site are the first indications that the people of Columbia do not only worship the “Lord” or Comstock himself, but the Founders of America itself–Thomas Jefferson, George Washington, and Benjamin Franklin. ·13:45: Preacher Witting baptizes you in the name of “…our Prophet, in the name of our Founders, in the name of our Lord.” This is a clearly different trinity than the one described in passages such as Matthew 28:18-20. Look out for more videos, recaps, and content in the future! 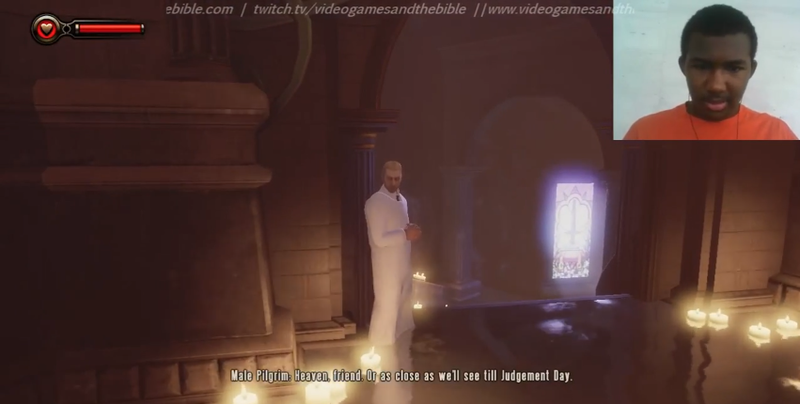 This entry was posted in Uncategorized and tagged analysis, Bible, BioShock, BioShock and the Bible, BioShock Infinite, BioShock Infinite and the Bible, christian, christian gaming, christian review, christianity, gaming, God, Jesus, Let's Play, PC, review, video games, video games and the Bible, Video Games and the Bible Highlights. Bookmark the permalink.